And here’s the final version. Since it’s meant to be shrunk down quite a bit, I decided it should be carrying a more recognizable form of message. Anyway, you can also go see it in its final website design. 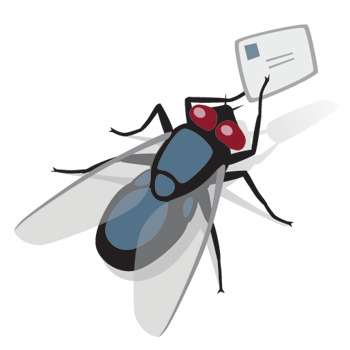 This entry was posted in Digital, Link and tagged animal, fly, insect by Nathan. Bookmark the permalink. All content © Nathan Scheck.